Need to do marketing, but don’t have a marketing manager? 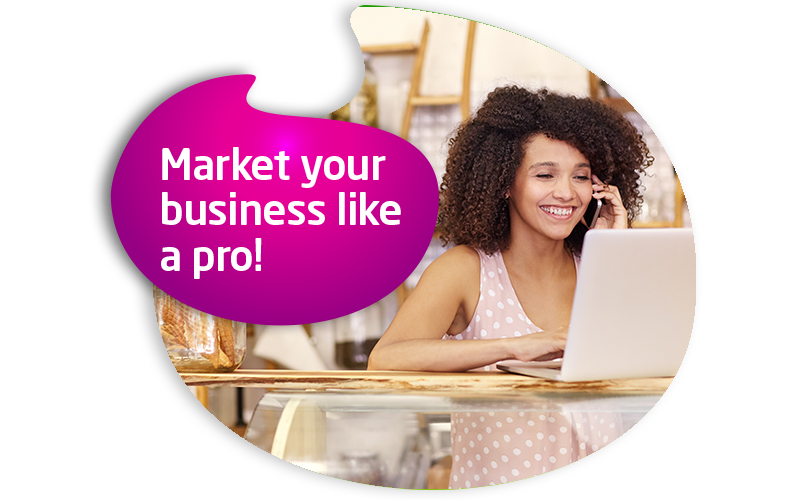 Market your business like a pro with our Online Marketing Toolbox! Designed for small-to-medium-sized businesses, the Vox Online Marketing Toolbox gives you all the necessary tools to get your company’s name into the hearts and minds of South Africans – and the world. With everything from easy-to-use website builders to email marketing software, we’ve got what you need to market your business like a pro. Depending on the size of your business and its needs, choose the package and price to suit you. In most small business, your are not only the owner, the bookkeeper and everything in between, but with our online tool box, you can also be your own marketing manager. Use the Bulk Mailer software to send out emailers that look professional and that are easy and straight forward to build, to give your business that extra polish. Site Builder allows you to easily build a basic but stylish website, so that you can get your business online and working for you. What can Marketing Toolbox do for my business? Marketing Toolbox gives/offers you online presence and allows you to reach a mass audience by taking your business online and enabling you to run all your digital campaigns with ease. Marketing toolbox includes one .co.za domain to give your website an online address, Sitebuilder to allow you to build and publish your business website and bulkmailer to enable you to digitally communicate to all your customers in one click. Which domains are included in the Marketing Toolbox? Marketing Toolbox comes standard with one .co.za domain. However, you may purchase other domains outside the package on Vox Customer Zone at their standard rates and propagate them to your Sitebuilder website. How do I run campaigns using the Marketing Toolbox? With Bulk Mailer you can send bulk email or bulk SMS campaigns to your database by creating your message and uploading your subscriber lists. SiteBuilder is an easy to use, drag-and-drop, website building and publishing tool to help you get your business online with ease. NO programming or web development skills required. Simply choose a template that best resonates your business and start building. One email address is included in the bundle additional email addresses can be purchased from the customer zone. How can I check to see if my domain is available? How do I add a subscription form to my website? The online marketing toolbox bundle gives you the functionality to allow custom built templates with certain required fields to be embedded into your website to gather contact information for users to subscribe to your mailing lists. This collected data may then be used to send out bulk email and SMS communication in the form of campaigns utilising Bulk Mailer to promote your business / product to your targeted audience. Can I buy additional email or SMS credits? Yes, you can top up with additional email or SMS credits via Vox Customer Zone by logging into your account or purchasing via credit card on our website. Bulk Mailer: 1000 email credits to send professional emails to your clients (once-off). Additional email credits may be purchased online.